Published on July 8, 2016 in Construction, Construction Digest, Construction News, Constructioneer, Daily Dirt, Dixie Contractor, Michigan Contractor & Builder, Midwest Contractor, National, New England Construction, Pacific Builder & Engineer, Rocky Mountain Construction, Texas Contractor and Western Builder. Closed Tags: Case, Case Construction Equipment, construction, Construction Equipment Dealers, contractors, dealers, Distributors, equipment. CASE Construction Equipment has released its list of 2016 “Diamond Dealer” and “Gold Dealer” award recipients as a part of its North American Construction Equipment Partnership Program. The awards recognize dealerships across the US and Canada for leadership in growing the CASE dealer network, as well as excellence in five categories: sales performance, marketing and communications, product support, parts support and training. Published on April 7, 2016 in Construction News and Daily Dirt. Closed Tags: .S. Bureau of Transportation Statistics (BTS), National Highway Traffic Safety Administration (NHTSA), Oklahoma Department of Transportation (ODOT), the American Association of State Highway and Transportation Officials (AASHTO), The Bureau of Transportation Statistics (BTS), the Federal Highway Administration (FHWA), the Texas Transportation Institute (TTI), the U.S. Census Bureau, TRIP. Roads and bridges that are deficient, congested or lack desirable safety features cost Oklahoma motorists a total of $4.9 billion statewide annually – $2,242 per driver in the Oklahoma City urban area – due to higher vehicle operating costs, traffic crashes and congestion-related delays. Increased investment in transportation improvements at the local, state and federal levels could relieve traffic congestion, improve road, bridge and transit conditions, boost safety, create jobs and support long-term economic growth in Oklahoma, according to a new report released today by TRIP, a Washington, DC based national transportation organization. The TRIP report, “Oklahoma Transportation by the Numbers: Meeting the State’s Need for Safe, Smooth and Efficient Mobility,” finds that throughout Oklahoma, 28 percent of major locally and state-maintained roads are in poor condition and another 42 percent are in mediocre or fair condition. Despite recent improvements, nearly a quarter of Oklahoma’s bridges are structurally deficient or functionally obsolete. The state’s major urban roads are becoming increasingly congested, with drivers wasting significant amounts of time and fuel each year. And an average of 684 people were killed annually in crashes on Oklahoma’s roads from 2010 to 2014. The Federal Highway Administration estimates that each dollar spent on road, highway and bridge improvements results in an average benefit of $5.20 in the form of reduced vehicle maintenance costs, reduced delays, reduced fuel consumption, improved safety, reduced road and bridge maintenance costs, and reduced emissions as a result of improved traffic flow. And for every $1 million spent on urban highway or intermodal expansion, an average of 7.2 local, long-term jobs were created and an additional 4.4 jobs were created outside the local area. The TRIP report finds that 81 percent of major roads in the Oklahoma City urban area are in poor or mediocre condition, costing the average motorist an additional $917 each year in extra vehicle operating costs, including accelerated vehicle depreciation, additional repair costs, and increased fuel consumption and tire wear. Traffic congestion in the Oklahoma City urban area is worsening, causing 49 hours of delay a year for the average motorist and costing each driver $1,110 annually in lost time and wasted fuel. A total of 23 percent of Oklahoma’s bridges show significant deterioration or do not meet modern design standards. Sixteen percent of Oklahoma’s bridges are structurally deficient, with significant deterioration to the bridge deck, supports or other major components. An additional seven percent of the state’s bridges are functionally obsolete, which means they no longer meet modern design standards, often because of narrow lanes, inadequate clearances or poor alignment. In the Oklahoma City urban area, ten percent of bridges are structurally deficient and 16 percent are functionally obsolete. Increased state funding has allowed the Oklahoma Department of Transportation (ODOT) to reduce the number of structurally deficient state-maintained bridges from an all-time high of 1,168 bridges in 2004 to 339 at the end of 2015. If funding remains stable, ODOT is on track to have one percent or fewer of all state-maintained bridges rated structurally deficient by the end of the decade. Traffic crashes in Oklahoma claimed the lives of 3,419 people between 2010 and 2014. Oklahoma’s overall traffic fatality rate of 1.40 fatalities per 100 million vehicle miles of travel significantly higher than the national average of 1.08 and is the eleventh highest in the nation. The state’s rural roads have a traffic fatality rate that is nearly three-and-a-half times higher than the rate on all other roads in the state (2.67 fatalities per 100 million vehicle miles of travel versus 0.77). 4.4 For every $1 million spent on urban highway or intermodal expansion, a comprehensive national report found than an average of 7.2 local, long-term jobs were created at nearby locations and an additional 4.4 jobs were created outside the local area, including businesses that supplied local businesses or benefited from the increased regional economic activity. $4.9 billion Driving on deficient roads costs Oklahoma motorists a total of $4.9 billion annually in the form of additional vehicle operating costs (VOC), congestion-related delays and traffic crashes. TRIP has calculated the cost to the average motorist in Oklahoma’s largest urban areas in the form of additional VOC, congestion-related delays and traffic crashes. The average Oklahoma City area driver loses $2,242 annually, while each Tulsa area driver loses $2,170. The average driver in the Oklahoma City area loses 49 hours to congestion annually, while each driver in the Tulsa urban area loses 44 hours annually. Statewide, 28 percent of Oklahoma’s major state and locally-maintained roads are in poor condition. Forty-five percent of major roads in the Oklahoma City urban area are in poor condition and 45 percent of major roads in the Tulsa urban area are in poor condition. Sixteen percent Oklahoma bridges were rated in 2015 as structurally deficient and in need of repair, which is the fifth highest share nationally. In 2005, Oklahoma had the highest share of deficient bridges nationally with 30 percent of its bridges rated structurally deficient. $190 Million The Oklahoma Department of Transportation has experienced more than $190 million in budget reductions since 2010. As Oklahoma faces a challenging economic environment in 2016, largely due to the significant drop in global energy prices, the level of economic growth in the Sooner state will be greatly impacted by the reliability and condition of its transportation system. With an economy based largely on agriculture, natural resource extraction, manufacturing, technology, aviation and government services the quality of Oklahoma’s transportation system plays a vital role in economic growth and quality of life in the state. While the state has been able to make progress in improving the condition of its transportation system in the past decade, recent funding cuts threaten to jeopardize that progress and potentially stall future improvements. In this report, TRIP looks at the top transportation numbers in Oklahoma as the state addresses its need to modernize and maintain its system of roads, highways, bridges and transit systems. In December 2015, the president signed into law a long-term federal surface transportation program that includes modest funding increases that will allow state and local governments to plan and finance projects with greater certainty through 2020. The Fixing America’s Surface Transportation Act (FAST Act) provides approximately $305 billion for surface transportation with highway and transit funding slated to increase by approximately 15 and 18 percent, respectively, over the five-year duration of the program. While the modest funding increase and certainty provided by the FAST Act are a step in the right direction, the funding falls far short of the level needed to improve conditions and meet the nation’s mobility needs, and fails to deliver a sustainable, long-term source of revenue for the federal Highway Trust Fund. An inadequate transportation system costs Oklahoma motorists a total of $4.9 billion every year in the form of additional vehicle operating costs (VOC), congestion-related delays and traffic crashes. TRIP estimates that Oklahoma roadways that lack some desirable safety features, have inadequate capacity to meet travel demands or have poor pavement conditions cost the state’s residents approximately $4.9 billion annually in the form of additional vehicle operating costs (including accelerated vehicle depreciation, additional repair costs, and increased fuel consumption and tire wear), the cost of lost time and wasted fuel due to traffic congestion, and the financial cost of traffic crashes. TRIP has calculated the average cost to drivers in the state’s largest urban areas as a result of driving on roads that are deteriorated, congested and lack some desirable safety features. The chart below details the costs to drivers in the Oklahoma City and Tulsa urban areas. Population and economic growth in Oklahoma have resulted in increased demands on the state’s major roads and highways, leading to increased wear and tear on the transportation system. Oklahoma’s population reached approximately 3.9 million residents in 2015, a 13 percent increase since 2000. Oklahoma had 2.45 million licensed drivers in 2014. Vehicle miles traveled (VMT) in Oklahoma increased by 10 percent from 2000 to 2014 –from 43.4 billion VMT in 2000 to 47.7 billion VMT in 2014. By 2030, vehicle travel in Oklahoma is projected to increase by another 20 percent. From 2000 to 2014, Oklahoma’s gross domestic product, a measure of the state’s economic output, increased by 38 percent, when adjusted for inflation. U.S. GDP increased 24 percent during this time. A lack of adequate state and local funding has resulted in more than one quarter of major roads and highways in Oklahoma having pavement surfaces in poor condition, providing a rough ride and costing motorist in the form of additional vehicle operating costs. Statewide, 28 percent of Oklahoma’s major locally and state-maintained roads and highways are in poor condition, while 42 percent are in mediocre or fair condition, and 30 percent are in good condition. Roads rated in poor condition may show signs of deterioration, including rutting, cracks and potholes. In some cases, poor roads can be resurfaced, but often are too deteriorated and must be reconstructed. Driving on rough roads costs Oklahoma motorists a total of $1.8 billion annually in extra vehicle operating costs. The average driver in Oklahoma City loses $917 annually, while the average Tulsa driver loses $928 each year as a result of driving on deteriorated roads. Costs include accelerated vehicle depreciation, additional repair costs, and increased fuel consumption and tire wear. Nearly a quarter – 23 percent — of locally and state-maintained bridges in Oklahoma show significant deterioration or do not meet current design standards often because of narrow lanes, inadequate clearances or poor alignment. This includes all bridges that are 20 feet or more in length. Sixteen percent of Oklahoma’s bridges are structurally deficient, the fifth highest share nationally. A bridge is structurally deficient if there is significant deterioration of the bridge deck, supports or other major components. Structurally deficient bridges are often posted for lower weight or closed to traffic, restricting or redirecting large vehicles, including commercial trucks and emergency services vehicles. In 2005, Oklahoma had the highest share of deficient bridges nationally with 30 percent of its bridges rated structurally deficient. Seven percent of Oklahoma’s bridges are functionally obsolete. Bridges that are functionally obsolete no longer meet current highway design standards, often because of narrow lanes, inadequate clearances or poor alignment. The chart below details the condition of state and locally maintained bridges in the Oklahoma City and Tulsa urban areas and statewide. Increased state funding has allowed ODOT to reduce the number of structurally deficient state-maintained bridges from an all-time high of 1,168 bridges in 2004 to 339 at the end of 2015. If funding remains stable, ODOT is on track to have one percent or fewer of all state-maintained bridges rated structurally deficient by the end of the decade. Improving safety features on Oklahoma’s roads and highways would likely result in a decrease in the state’s traffic fatalities and serious crashes. It is estimated that roadway features are likely a contributing factor in approximately one-third of all fatal and serious traffic crashes. Between 2010 and 2014 a total of 3,419 people were killed in traffic crashes in Oklahoma, an average of 684 fatalities per year. Oklahoma’s overall traffic fatality rate of 1.40 fatalities per 100 million vehicle miles of travel in 2014 is significantly higher than the national average of 1.08. Oklahoma’s overall traffic fatality rate is the eleventh highest in the nation. The fatality rate on Oklahoma’s non-interstate rural roads is nearly three and a half times higher than that on all other roads in the state (2.67 fatalities per 100 million vehicle miles of travel vs. 0.77). The chart below details the average number of fatalities from 2012 to 2014 in the Oklahoma City and Tulsa areas, as well as the average cost per driver as a result of traffic crashes. Increasing levels of traffic congestion cause significant delays in Oklahoma, particularly in its larger urban areas, choking commuting and commerce. Traffic congestion robs commuters of time and money and imposes increased costs on businesses, shippers and manufacturers, which are often passed along to the consumer. Based on Texas Transportation Institute (TTI) estimates, the value of lost time and wasted fuel in Oklahoma is approximately $2.1 billion per year. According to TTI, the average driver in the Oklahoma City urban area loses $1,110 each year in the cost of lost time and wasted fuel as a result of traffic congestion. The average Oklahoma City commuter wastes 49 hours each year stuck in traffic. According to TTI, the average driver in the Tulsa urban area loses $984 each year in the cost of lost time and wasted fuel as a result of traffic congestion. The average Tulsa commuter wastes 44 hours each year stuck in traffic. Investment in Oklahoma’s roads, highways and bridges is funded by local, state and federal governments. While ODOT’s revenue has increased in recent years, allowing for significant improvements to the transportation system, the state now faces potential cuts to transportation investment due to decreased state revenues. The recently approved five-year federal surface transportation program includes modest funding increases and provides states with greater funding certainty, but falls far short of providing the level of funding needed to meet the nation’s highway and transit needs. The federal bill does not include a long-term and sustainable revenue source. Due to decreased state revenues, appropriations to ODOT and other state agencies have been cut by seven percent during the current fiscal year (FY2016). These reductions will cut $30.8 million from ODOT’s budget for future construction projects in the Eight-year Plan. While the most recent cuts do not impact ongoing construction projects, future projects may be postponed, which will require additional maintenance to affected highways and bridges to keep them in service until funding is available for rehabilitation or reconstruction. Prior to the latest budget cut due to reduced state general revenue, ODOT had experienced $190 million in budget reductions since FY 2010. The Oklahoma legislature established the ROADS (Rebuilding Oklahoma Access and Driver Safety) fund in 2005, which provided a state allocation of tax revenue to ODOT, in addition to fuel tax revenue. State highway funding was previously based on motor fuel tax revenue, which had remained stagnant for decades. The creation of the ROADS fund in 2005 quickened the pace of improvements to Oklahoma’s transportation system. ODOT’s first Eight-year Construction Work Plan in 2003 contained less than $2 billion in improvements and addressed only 220 bridges. The current FFY 2016-2023 Eight-year Plan includes nearly $6.5 billion in improvements, including projects to address 913 bridges – more than four times as many bridges. The combination of ROADS funds and fuel tax revenue are expected to total about $775 million annually by 2018 – more than three times the funding levels of 2005. Despite the progress made in recent years, Oklahoma still has approximately $11 billion in backlogged bridge and roadway projects. The 2015 AASHTO Transportation Bottom Line Report found that if the national rate of vehicle travel increased by 1.4 percent per year, the needed annual investment in the nation’s roads, highways and bridges would need to increase by 64 percent to $144 billion. If vehicle travel grows by 1.6 percent annually the needed annual investment in the nation’s roads, highways and bridges would need to increase by 77 percent to $156 billion. The efficiency of Oklahoma’s transportation system, particularly its highways, is critical to the health of the state’s economy. Businesses rely on an efficient and dependable transportation system to move products and services. A key component in business efficiency and success is the level and ease of access to customers, markets, materials and workers. Annually, $117 billion in goods are shipped from sites in Oklahoma and another $135 billion in goods are shipped to sites in Oklahoma, mostly by truck. Eighty percent of the goods shipped annually from sites in Oklahoma are carried by trucks and another seven percent are carried by courier services or multiple mode deliveries, which include trucking. According to a 2012 national report, improved access as a result of capacity expansions provides numerous regional economic benefits. Those benefits include higher employment rates, higher land value, additional tax revenue, increased intensity of economic activity, increased land prices and additional construction as a result of the intensified use. The report, “Interactions Between Transportation Capacity, Economic Systems and Land Use,” prepared by the Strategic Highway Research Program for the Transportation Research Board, reviewed 100 projects, costing a minimum of $10 million, which expanded transportation capacity either to relieve congestion or enhance access. The projects analyzed in the report were completed no later than 2005 and included a wide variety of urban and rural projects, including the expansion or addition of major highways, beltways, connectors, bypasses, bridges, interchanges, industrial access roads, intermodal freight terminals and intermodal passenger terminals. The expanded capacity provided by the projects resulted in improved access, which resulted in reduced travel-related costs, faster and more reliable travel, greater travel speeds, improved reliability, and increased travel volume. The report found that improved transportation access benefits a region by: enhancing the desirability of an area for living, working or recreating, thus increasing its land value; increasing building construction in a region due to increased desirability for homes and businesses; increasing employment as a result of increased private and commercial land use; and increasing tax revenue as a result of increased property taxes, increased employment and increased consumption, which increases sales tax collection. The report found that benefits of a transportation capacity expansion unfolded over several years and that the extent of the benefits were impacted by other factors including: the presence of complimentary infrastructure such as water, sewer and telecommunications; local land use policy; the local economic and business climate; and whether the expanded capacity was integrated with other public investment and development efforts. For every $1 million spent on urban highway or intermodal expansion, the report estimated that an average of 7.2 local, long-term jobs were created at nearby locations as a result of improved access. An additional 4.4 jobs were created outside the local area, including businesses that supplied local businesses or otherwise benefited from the increased regional economic activity. For every $1 million spent on rural highway or intermodal expansion, the report estimated that an average of 2.9 local, long-term jobs were created at nearby locations as a result of improved access. An additional 1.6 jobs were created outside the local area, including businesses that supplied local businesses or otherwise benefited from the increased regional economic activity. The report found that highway and intermodal capacity projects in urban areas created a greater number of long-term jobs than in rural areas, largely due to the more robust economic environment and greater density in urban communities. Sources of information for this report include the Oklahoma Department of Transportation (ODOT), the Federal Highway Administration (FHWA), the American Association of State Highway and Transportation Officials (AASHTO), the Bureau of Transportation Statistics (BTS), the U.S. Census Bureau, the Texas Transportation Institute (TTI) and the National Highway Traffic Safety Administration (NHTSA). Published on March 26, 2016 in Construction News and Daily Dirt. Closed Tags: asphalt, construction, construction industry, contractors, heavy equipment, highways, infrastructure, pavement, Recycling Asphalt pavement, roads, safety, transportation. 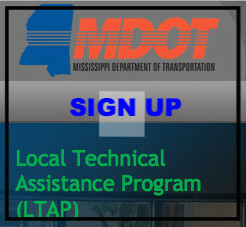 The location for this training is MDOT Administration Building, 6th Floor Conference Room, 401 N West Street, Jackson, MS. The class is from 8:30 to 4:30. Sign up below! 4. Availability of recycling additives. Come join us to learn the latest techniques in the industry. Published on March 26, 2016 in Construction News, Daily Dirt and Uncategorized. Closed Tags: asphalt, bridges, concrete, Federal Highway Administration (FHWA), Federal Highway Trust Fund, gas tax, heavy equipment, Highway Bill, highways, infrastructure, Interstate Highway System, jobs, Mississippi Department of Transportation (MDOT), National Highway Traffic Safety Administration (NHTSA), pavement, roads, safety, the American Association of State Highway and Transportation Officials (AASHTO), The Bureau of Transportation Statistics (BTS), the Federal Highway Administration (FHWA), the Mississippi Economic Council (MEC), the Texas Transportation Institute (TTI), the U.S. Census Bureau, transportation, TRIP, trucks. Roads and bridges that are deficient, congested or lack desirable safety features cost Mississippi motorists a total of $2.25 billion statewide annually – as much as $1,879 in some areas – due to higher vehicle operating costs, traffic crashes and congestion-related delays. Increased investment in transportation improvements at the local, state and federal levels could relieve traffic congestion, improve road, bridge and transit conditions, boost safety, and support long-term economic growth in Mississippi, according to a new report released today by TRIP, a Washington, DC based national transportation organization. The TRIP report, “Mississippi Transportation by the Numbers: Meeting the State’s Need for Safe and Efficient Mobility,” finds that throughout Mississippi, 22 percent of major locally and state-maintained roads are in poor condition and another 42 percent are in mediocre or fair condition. Twenty percent of Mississippi’s bridges are structurally deficient or functionally obsolete. The state’s major urban roads are becoming increasingly congested, with drivers wasting significant amounts of time and fuel each year. And an average of 615 people were killed annually in crashes on Mississippi’s roads from 2010 to 2014. Traffic congestion in Mississippi is worsening, costing the state’s drivers $529 million annually in lost time and wasted fuel. A total of 20 percent of Mississippi’s bridges show significant deterioration or do not meet modern design standards. Thirteen percent of Mississippi’s bridges are structurally deficient, with significant deterioration to the bridge deck, supports or other major components. An additional seven percent of the state’s bridges are functionally obsolete, which means they no longer meet modern design standards, often because of narrow lanes, inadequate clearances or poor alignment. Traffic crashes in Mississippi claimed the lives of 3,073 people between 2010 and 2014. Mississippi’s overall traffic fatality rate of 1.54 fatalities per 100 million vehicle miles of travel is significantly higher than the national average of 1.08. Mississippi’s overall traffic fatality rate is the fourth highest in the nation. The state’s rural roads have a traffic fatality rate that is nearly four and a half times higher than the rate on all other roads in the state (2.58 fatalities per 100 million vehicle miles of travel versus 0.58). TRIP estimates that roadway features may be a contributing factor in approximately one-third of fatal traffic crashes. Mississippi faces a significant shortfall in funds needed to maintain and improve its transportation system. The state currently faces a backlog of $6.6 billion dollars in funds needed to address needed repairs and improvements to Mississippi’s transportation system. A recent report by the Mississippi Economic Council (MEC) found that Mississippi will need $375 million annually in new revenue to address immediate transportation needs. Of the $375 million, $300 million is needed for improvements to the state-maintained system, and $75 million is needed to address the local system. The MEC report found that an additional $375 million in annual transportation investment would generate nearly 4,000 new direct and indirect jobs in the construction industry, additional state and local tax revenue of $15 million annually, and an overall annual economic benefit of more than $440 million. The efficiency and condition of Mississippi’s transportation system, particularly its highways, is critical to the health of the state’s economy. Annually, $91 billion in goods are shipped from sites in Mississippi and another $104 billion in goods are shipped to sites in Mississippi, mostly by truck. $2.25 billion Driving on deficient roads costs Mississippi motorists a total of $2.25 billion annually in the form of additional vehicle operating costs (VOC), congestion-related delays and traffic crashes. TRIP has calculated the cost to the average motorist in Mississippi’s major urban areas in the form of additional VOC, congestion-related delays and traffic crashes. The average Gulfport-Biloxi-Pascagoula area driver loses $1,061 annually, while each Hattiesburg area driver loses $1,080, and the average Jackson area motorist loses $1,879 annually. $640 If the condition, efficiency and safety of Mississippi’s transportation system are not improved, the annual cost to the average Mississippi driver will increase by $640 in the form of additional costs due to increased wear and tear on vehicles, traffic crashes and delays due to traffic congestion. 4.5 X The fatality rate on Mississippi’s non-interstate rural roads is nearly four an a half times that on all other roads in the state (2.58 fatalities per 100 million vehicle miles of travel vs. 0.58). 44% Statewide, 22 percent of Mississippi’s major roads are in poor condition. Nineteen percent of major roads in the Gulfport-Biloxi-Pascagoula urban area are in poor condition, while in the Hattiesburg urban area, 28 percent of major roads are in poor condition. Forty-four percent of major urban roads in Jackson are in poor condition. $104 billion Annually, $91 billion in goods are shipped from sites in Mississippi and another $104 billion in goods are shipped to sites in Mississippi, mostly by truck. 20 % A total of 20 percent of Mississippi bridges are in need of repair, improvement or replacement. Thirteen percent of the state’s bridges are structurally deficient and seven percent are functionally obsolete. The average driver in the Gulfport-Biloxi-Pascagoula area loses 19 hours to congestion annually, while each driver in the Hattiesburg urban area loses 13 hours each year. The average Jackson area driver loses 38 hours annually as a result of traffic congestion. The state currently faces a backlog of $6.6 billion in funds need to address needed repairs and improvements to Mississippi’s roads, bridges and highways. $375 Million According to a recent Mississippi Economic Council (MEC) report, the state needs $375 million annually in new revenue to address immediate transportation needs. Of the $375 million, $300 million is needed for improvements to the state-maintained transportation system, and $75 million is needed to address the local system. Seven years after the nation suffered a significant economic downturn, Mississippi’s economy continues to rebound. The rate of economic growth in Mississippi, which will be greatly impacted by the reliability and condition of the state’s transportation system, continues to have a significant impact on quality of life in the Magnolia State. An efficient, safe and well-maintained transportation system provides economic and social benefits by affording individuals access to employment, housing, healthcare, education, goods and services, recreation, entertainment, family, and social activities. It also provides businesses with access to suppliers, markets and employees, all critical to a business’ level of productivity and ability to expand. Conversely, reduced accessibility and mobility – as a result of traffic congestion, a lack of adequate capacity, or deteriorated roads, highways, bridges and transit facilities – diminishes a region’s quality of life by reducing economic productivity and limiting opportunities for economic, health or social transactions and activities. With an economy based largely on agriculture, manufacturing, education, tourism, energy and military installations, the quality of Mississippi’s transportation system will play a vital role in the state’s level of economic growth and in the quality of life in Mississippi. In this report, TRIP looks at the top transportation issues faced in Mississippi as the state addresses its need to modernize and maintain its system of roads, highways, bridges and transit systems. In 1987, Mississippi’s elected officials and business leaders set in motion the plans for a four-lane highway system that would connect Mississippians to all corners of the state and give Mississippi an economic edge. But, nearly three decades after those improvements were begun, Mississippi faces another critical juncture in enhancing its transportation system to improve quality of life for residents and support economic growth and improved access for businesses. A new report by the Mississippi Economic Council (MEC) found that the state faces a backlog of $6.6 billion dollars in funds needed to address needed repairs and improvements to Mississippi’s transportation system. Without an additional $375 million annually in state and local transportation investment, the MEC found that quality of life will deteriorate and Mississippi will miss out on opportunities for economic development and growth. In December 2015, Congress passed, and the president signed into law, a long-term federal surface transportation program that includes modest funding increases and allows state and local governments to plan and finance projects with greater certainty through 2020. The Fixing America’s Surface Transportation Act (FAST Act) provides approximately $305 billion for surface transportation with highway and transit funding slated to increase by approximately 15 and 18 percent, respectively, over the five-year duration of the program. While the modest funding increase and certainty provided by the FAST Act are a step in the right direction, the funding falls far short of the level needed to improve conditions and meet the nation’s mobility needs and fails to deliver a sustainable, long-term source of revenue for the federal Highway Trust Fund. An inadequate transportation system costs Mississippi residents a total of $2.25 billion every year in the form of additional vehicle operating costs (VOC), congestion-related delays and traffic crashes. TRIP estimates that Mississippi roadways that lack some desirable safety features, have inadequate capacity to meet travel demands or have poor pavement conditions cost the state’s residents approximately $2.25 billion annually in the form of additional vehicle operating costs (including accelerated vehicle depreciation, additional repair costs, and increased fuel consumption and tire wear), the cost of lost time and wasted fuel due to traffic congestion, and the financial cost of traffic crashes. TRIP has calculated the average cost to drivers in the state’s largest urban areas as a result of driving on roads that are deteriorated, congested and lack some desirable safety features. The chart below details the costs to drivers in the Gulfport-Biloxi-Pascagoula, Hattiesburg and Jackson urban areas as well as the statewide total. A recent report by the Mississippi Economic Council (MEC) found that if the condition, efficiency and safety of Mississippi’s transportation system are not improved, the annual cost to the average Mississippi driver will increase by $640 in the form of additional costs due to increased wear and tear on vehicles, traffic crashes and delays due to traffic congestion. Population and economic growth in Mississippi have resulted in increased demands on the state’s major roads and highways, leading to increased wear and tear on the transportation system. Mississippi’s population reached approximately three million residents in 2015, a five percent increase since 2000. Mississippi had approximately two million licensed drivers in 2013. Vehicle miles traveled (VMT) in Mississippi increased by 11 percent from 2000 to 2014 – from 35.5 billion VMT in 2000 to 39.5 billion VMT in 2014. Vehicle miles of travel in Mississippi for the first ten months of 2015 were 3.3 percent higher than the first ten months of 2014. During the first ten months of 2015, U.S. vehicle miles of travel were 3.4 percent higher than the first ten months of 2014. By 2030, vehicle travel in Mississippi is projected to increase by another 30 percent. From 2000 to 2014, Mississippi’s gross domestic product, a measure of the state’s economic output, increased by 13 percent, when adjusted for inflation. A lack of adequate state and local funding has resulted in 22 percent of major roads and highways in Mississippi having pavement surfaces in poor condition, providing a rough ride and costing motorist in the form of additional vehicle operating costs. Twenty-two percent of Mississippi’s major roads and highways have pavements in poor condition, while an additional 42 percent of the state’s major roads are rated in mediocre or fair condition and the remaining 36 percent are rated in good condition. Driving on rough roads costs Mississippi motorists a total of $1.1 billion annually in extra vehicle operating costs. Costs include accelerated vehicle depreciation, additional repair costs, and increased fuel consumption and tire wear. The chart below details pavement conditions in the Gulfport-Biloxi-Pascagoula, Hattiesburg and Jackson urban areas. One-fifth of locally and state-maintained bridges in Mississippi show significant deterioration or do not meet current design standards, often because of narrow lanes, inadequate clearances or poor alignment. This includes all bridges that are 20 feet or more in length. Thirteen percent of Mississippi’s bridges are structurally deficient. A bridge is structurally deficient if there is significant deterioration of the bridge deck, supports or other major components. Structurally deficient bridges are often posted for lower weight or closed to traffic, restricting or redirecting large vehicles, including commercial trucks and emergency services vehicles. Seven percent of Mississippi’s bridges are functionally obsolete. Bridges that are functionally obsolete no longer meet current highway design standards, often because of narrow lanes, inadequate clearances or poor alignment. Currently, approximately 4,000 state and local bridges are in need of repair or replacement. Of those bridges, 2,400 are posted for carrying only lower-weight vehicles, creating detours for school buses and emergency responders and interrupting the flow of commerce. The chart below details the share of bridges in the state’s major urban areas that are structurally deficient or functionally obsolete. Mississippi’s rural traffic fatality rate is nearly four and a half times higher than the fatality rate on all other roads in the state. Improving safety features on Mississippi’s roads and highways would likely result in a decrease in the state’s traffic fatalities and serious crashes. It is estimated that roadway features are likely a contributing factor in approximately one-third of all fatal and serious traffic crashes. Between 2010 and 2014 a total of 3,073 people were killed in traffic crashes in Mississippi, an average of 615 fatalities per year. Mississippi’s overall traffic fatality rate of 1.54 fatalities per 100 million vehicle miles of travel in 2014 is significantly higher than the national average of 1.08 and the fourth highest fatality rate in the nation. The fatality rate on Mississippi’s rural non-Interstate roads was 2.58 fatalities per 100 million vehicle miles of travel in 2014, nearly four and a half times higher than the 0.58 fatality rate on all other roads and highways in the state. According to the Texas Transportation Institute (TTI), the average Gulfport-Biloxi-Pascagoula urban area driver loses $411 annually in the cost of lost time and wasted fuel due to congestion. The average Gulfport-Biloxi-Pascagoula urban area commuter loses 19 hours each year in traffic. According to TTI, the average Hattiesburg urban area driver loses $298 annually in the cost of lost time and wasted fuel due to congestion. The average Hattiesburg urban area commuter loses 13 hours each year in traffic. According to TTI, the average driver in the Jackson urban area loses $878 each year in the cost of lost time and wasted fuel as a result of traffic congestion. The average Jackson urban area commuter wastes 38 hours each year stuck in traffic. Increasing levels of congestion add significant costs to consumers, transportation companies, manufacturers, distributors and wholesalers and can reduce the attractiveness of a location to a company to consider expansion or even to locate a new facility. Congestion costs can also increase overall operating costs for trucking and shipping companies, leading to revenue losses, lower pay for drivers and employees, and higher consumer costs. A new report by the MEC found the state faces a critical juncture in the need to enhance its transportation system to improve quality of life for residents and support growth and ease of access for businesses. However, the state faces a significant shortfall in needed transportation funds to make critical improvements to its roads and bridges. The state currently faces a backlog of $6.6 billion dollars in funds needed to address needed repairs and improvements to Mississippi’s transportation system. The MEC report found that Mississippi will need $375 million annually in new revenue to address immediate transportation needs. Of the $375 million, $300 million is needed for improvements to the state-maintained system, and $75 million is needed to address the local system. The MEC report found that an additional $375 million in annual transportation investment would generate nearly 4,000 new direct and indirect jobs in the construction industry, additional state and local tax revenue of $15 million annually, and an overall annual economic benefit of more than $440 million. Improving the conditions of Mississippi’s transportation system could save the average driver $534 annually over the next ten years in the cost of driving on roads that are deteriorated, congested and that lack some safety features. Without an additional investment in Mississippi’s transportation system, the state is projected to lose 10,161 jobs annually in all sectors over the next ten years. However, with adequate transportation investment, Mississippi would add 7,673 jobs annually across all sectors. Annually, $91 billion in goods are shipped from sites in Mississippi and another $104 billion in goods are shipped to sites in Mississippi, mostly by truck. Seventy-seven percent of the goods shipped annually from sites in Mississippi are carried by trucks and another four percent are carried by courier services or multiple mode deliveries, which include trucking. Investment in Mississippi’s roads, highways and bridges is funded by local, state and federal governments. The recently approved five-year federal surface transportation program includes modest funding increases and provides states with greater funding certainty, but falls far short of providing the level of funding needed to meet the nation’s highway and transit needs. The bill does not include a long-term and sustainable revenue source. From 2009 to 2013, the federal government provided $1.24 for road improvements in Mississippi for every dollar the state paid in federal motor fuel fees. AASHTO’s report found that based on an annual one percent increase in VMT annual investment in the nation’s roads, highways and bridges needs to increase 36 percent, from $88 billion to $120 billion, to improve conditions and meet the nation’s mobility needs. Investment in the nation’s public transit system needs to increase from $17 billion to $43 billion. Sources of information for this report include the Mississippi Department of Transportation (MDOT), the Mississippi Economic Council (MEC), the Federal Highway Administration (FHWA), the Bureau of Transportation Statistics (BTS), the U.S. Census Bureau, the American Association of State Highway and Transportation Officials (AASHTO), the Texas Transportation Institute (TTI) and the National Highway Traffic Safety Administration (NHTSA). 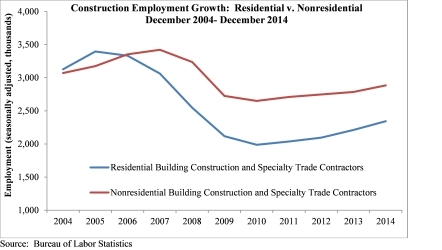 Published on January 9, 2015 in Construction News, Daily Dirt and National. Closed Tags: ABC, BLS, Bureau of Labor Statistics (BLS), construction, construction employment, construction industry, contractors, economy, employment, jobs, non-residential, nonresidential. “The U.S. economy added an average of 289,000 jobs per month during the final three months of 2014, indicating that momentum is surging as we transition into 2015.”—ABC Chief Economist Anirban Basu.